We are pleased to announce the results of the Sentinel Literary Quarterly Poetry and Short Story Competitions for October 2011 judged by Todd Swift and Adnan Mahmutovic respectively. The winning and commended works listed above will be published in Sentinel Champions #10 in May 2012. Entry fee: £5 per poem. Enter as many poems as you wish. 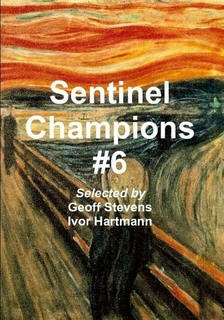 All winning & commended poems will be published in Sentinel Champions #9 in February 2012. We are exactly 10 days away from the publication of the Identity issue of Sentinel Literary Quarterly guest-edited by Caine Prize for African Writing winner and author of Voice of America, EC Osondu. We shall be publishing this magazine online as usual, but will have a print version available as well for those who prefer good old paper between fingers, and to keep it in their bookshelves. Don't forget to visit www.sentinelquarterly.com on October 31st. If you would like to be notified by e-mail when this publication goes live, please subscribe our free e-Newsletter. The French Literature Issue of Sentinel Literary Quarterly will be published in January 2012. If you have not submitted your work to this issue, you may do so before the 30th of November. The French Literature issue of Sentinel Literary Quarterly marks a return to print publication of our magazine. The online magazine will still be available free-to-read but will only contain some of the materials that appear in the print version. For previously unpublished poems in English language up to 50 lines long, on any subject, in any style. Poems entered may not be under consideration for publication, or accepted for publication elsewhere. Contact: Send poems with Cover Note or Entry Form with Cheque/Postal Order in GP£ only payable to SENTINEL POETRY MOVEMENT, Address: Unit 136, 113-115 George Lane, London E18 1AB, United Kingdom. The closing date for the Sentinel Annual Poetry Competition 2011 has been extended to 15th November 2011. Prizes: £500 (1st), £250 (2nd), £125 (3rd), and £25 x 5 for High Commendation. All winning and commended poems will receive first publication in Sentinel Champions in February 2012. Published authors each get a free contributor's copy of the magazine. We hope that this extension will make it possible for more people to enter. The Bees is Carol Ann Duffy's first new collection of poetry to be published since she was appointed our Poet Laureate in 2009, in succession to Andrew Motion. It's also her first since Rapture, the ecstatic sequence about the rise and fall of a lesbian love affair which won her the T S Eliot Prize in 2005. The Bees is not so ruthlessly focused but it has nonetheless been artfully organised around the bee as a symbol, boasting a cover honeycombed in gilt around a glittery bee. The book begins and ends with specific poems about bees and there are others scattered here and there, such as, for example, a lovely riff on Book IV of the Georgics, Virgil's Bees, which she wrote in response to the 2009 climate change conference in Copenhagen. Throughout, bees stand for endangered nature - and they appear glancingly in the book in other poems, as do allusions to flowers, pollen and honey. For poems on any subject in any style up to 40 lines long. Prizes: £150, £75, £50, £10 x 3. Fees: £3 per poem. £12 for 5 poems. For stories on any subject in any style up to 1500 words long. Fees: £5 per story. £9 for 2 stories, and £12 for 3 stories. Barbara Smith lives on Ireland's eastern seaboard. Poems recently published, or pending includes: Riposte, Electric Acorn, Ireland; nthposition.com and The Coffee House, UK; Garm Lu, Canada; Borderlands: Texas Poetry Review, US and TMR, India. 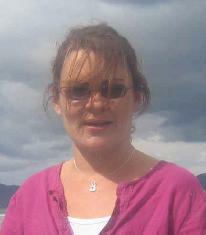 Essays recently published include west47online and VirtualWriter, Ireland. Smith has published two volumes of poetry: Gnosis and Poetic Stage; the latter enjoyed moderate success both inside and outside Ireland. making it easy to peel them later. Moore's medley of almanac songs. brings her four green fields down the years to me. long broad knife and leave them by for dinner. 1. Roosters, Queens - types of potatoes currently grown in Ireland. 2. Moore's Old Almanac - an almanac giving tides, moon dates and other info. useful to farmers. 3. Four green fields - an Irish Ballad. builders and roofers all tumbling after. No call was made; they just came. one side street, one city. King of May, son of the silent scream. 6 feet below the earth you once walked upon. but that is the risk we take for being honest. Are you with Neal now or is there another? Damien Fehrenbach is an American studying in the UK. He attends Bournemouth and Pool College while currently living in Sway. Enter Sentinel Literary Quarterly Poetry & Short Story Competitions, run every 3 months. £610.00 in total prize fund. Enter competitions now. to learn to burrow in the dark. against my ribs I knew I couldn't do it. locked inside the tunnels of the mind. in a squeak of rubber shoe. but where the loneliness begins. to make a sleeping platform. everything done to let in light. You are welcome to the Sentinel Competitions Bulletin, May 2011. We are aware that although we publish all our competitions results and judges’ reports online, not all of our competition entrants use the Internet. We have now made a decision to make our competitions bulletin available not just online but delivered to you through normal post. This way you get to know the results and also get the link to the judges’ reports online. If you wish to receive the judge’s report in the post, please send us a stamped, self-addressed envelope and we will be happy to send it to you. Once again it gives us great pleasure in announcing the results of the Sentinel Literary Quarterly Poetry and Short Story Competitions. From the feedback we have had from the adjudicators Jude Dibia and Andy Willoughby, the overall standard of the entries this quarter were particularly high. Willoughby who judged the poetry competition had to ask if we could have 10 commended poems selected for publication in Sentinel Champions instead of our normal 9 as he found it difficult to cut the number down any further. This is a great testament to the contribution our competitions are making to the creation of new literature. This quarter, our three Highly Commended stories are: “If” by Ina Claire Gabler, “The Mackwater Seam” by Brindley Hallam Dennis and “Having a Cigarette” by Anne Wilson. The Third Prize of goes to “Are we there yet?” by Andrew Blackman. The Second Prize goes to “Colouring Matthew” by Bruce Harris and the First Prize has been won by “MRS. MACKENZIE’S SECRET” by EILEEN HOON. This quarter, our Highly Commended poems are: “Kaleidoscope” by Ayoola Oyeniyi, “Death in Inverness” by Bruce Gardner and “Jackie Scribbles falls again” by E.K. Wall. The Third Prize goes to “Darling Sleep” by Tabitha Joy. The Second Prize goes to “The World is Flat” by Catherine Edmunds, and the FIRST PRIZE has been won by “THE LIVING BUSINESS OF A BADGER” by ELLIE EVANS. The Winners and Highly Commended writers in fiction and poetry plus 10 other Commended poets from the January 2011 competitions will be published in Sentinel Champions #7, in August 2011. The Highly Commended Poets will each receive a signed copy of The Wilds Anthology edited by Andy Willoughby and Bob Beagrie. Congratulations to all the winners and commended writers. Subject: Poems may be on any subject or style and MUST NOT have been previously published, posted on a website or blog. Poems posted on members-only writing groups for workshop purposes as part of the creative process are not deemed to have been previously published. Length: Maximum 40 lines per poem. Prizes: First: £150.00, Second: £75.00, Third: £50.00, Highly Commended: £10 x 3. First Publication: The three winning poems and three highly commended poems will receive first publication in Sentinel Champions – Selected Poems & Short Stories from the Sentinel Literary Quarterly Writing Competition Series. (This magazine appears in print and eBook formats) Up to 15 poems in total, subject to quality, from this competition will be published in Sentinel Champions Magazine in February 2012. Competition Administration: Sentinel Poetry Movement. 1. You may enter as many poems as you wish with the appropriate entry fees. 2. If you win one of the prizes in this quarter’s competition, you will NOT be prohibited from entering next quarter’s competition. 3. Judges read the poems without any indication of the identity of the authors. If the same poet wins more than one prize, in the interest of fairness we WILL award it. 4. The decision of the judge is final, and no communication will be entered into. 5. If on the advice of the judge, the quality of entries is too low to produce worthy prize winners, or any other legitimate reason beyond our control arises which may affect a fair completion or conduct of the competition, we reserve the right to cancel the competition and refund all entry fees immediately by the same method we have been paid. 6. We reserve the right to reapportion the prize money if necessary in the interest of continuity as an alternative to cancellation of the competition. 7. If you would like an acknowledgement of postal entries, please enclose an SAE marked “acknowledgement”. 9. If you would like to receive the Judges’ Report in the post, please enclose an SAE marked “Judges’ Report SLQ Poetry July 2011”. 10. All prizewinners will be notified by post or e-mail within 7 days of the announcement of the results. These notifications will be accompanied with a prize claim invoice. 11. By entering this competition you provide some information such as your address and e-mail address which may be deemed personal information. These will be processed according to the data protection act 1998. We will never pass on any detail you provide in the course of entering this competition to a third party and we will never sell your data to anyone for marketing purposes. 12. By entering this competition you agree that we may contact you by e-mail or post via our newsletter with the results of the competition, the adjudicator’s reports and information on future competitions. You may unsubscribe from the newsletter at any time. Subject: Stories may be on any subject or style and MUST NOT have been previously published, posted on a website or blog. Stories posted on members-only writing groups for workshop purposes as part of the creative process are not deemed to have been previously published. Length: Maximum 1,500 words per story. First Publication: The three winning short stories and three highly commended stories will receive first publication in Sentinel Champions – Selected Poems & Short Stories from the Sentinel Literary Quarterly Writing Competition Series. (This magazine appears in print and eBook formats) Up to 15 stories in total, subject to quality, from this competition will be published in Sentinel Champions Magazine in February 2012. Judge: KACHI A. OZUMBA, award-winning author of Shadow of a Smile. 14. You may enter as many stories as you wish with the appropriate entry fees. 15. If you win one of the prizes in this quarter’s competition, you will NOT be prohibited from entering next quarter’s competition. 16. Judges read the stories without any indication of the identity of the authors. If the same poet wins more than one prize, in the interest of fairness we WILL award it. 17. The decision of the judge is final, and no communication will be entered into. 18. If on the advice of the judge, the quality of entries is too low to produce worthy prize winners, or any other legitimate reason beyond our control arises which may affect a fair completion or conduct of the competition, we reserve the right to cancel the competition and refund all entry fees immediately by the same method we have been paid. 19. We reserve the right to reapportion the prize money if necessary in the interest of continuity as an alternative to cancellation of the competition. 20. If you would like an acknowledgement of postal entries, please enclose an SAE marked “acknowledgement”. 22. If you would like to receive the Judges’ Report in the post, please enclose an SAE marked “Judges’ Report SLQ Poetry July 2011”. 23. All prizewinners will be notified by post or e-mail within 7 days of the announcement of the results. These notifications will be accompanied with a prize claim invoice. 24. By entering this competition you provide some information such as your address and e-mail address which may be deemed personal information. These will be processed according to the data protection act 1998. We will never pass on any detail you provide in the course of entering this competition to a third party and we will never sell your data to anyone for marketing purposes. 25. By entering this competition you agree that we may contact you by e-mail or post via our newsletter with the results of the competition, the adjudicator’s reports and information on future competitions. You may unsubscribe from the newsletter at any time. Poems must be in English Language on any subject or style with a maximum length of 40 lines. Open to every poet in every country. Poems entered must not have been previously published, posted to a website or blog. The poems must also not be under consideration for publication anywhere. First Prize £150.00, Second Prize £75.00, Third Prize £40.00. Two Highly Commended Poets will also receive £10.00 each. [The three winning poems and the two highly commended poems will receive first publication in the Excel for Charity website. £4.00 for 1 poem, £7.50 for 2 poems, £10.50 for 3 poems, £12.50 for 4 poems, and £14.00 for 5 poems. [A third of all entry fees goes to the charity Lupus UK] All 5-poem entrants receive a FREE Sentinel Champions #4 e-book courtesy of Sentinel Poetry Movement. Judge: JIM BENNETT, Managing Editor, Poetry Kit (www.poetrykit.org), author of over 50 books including Larkhill, The Man Who Tried to Hug Clouds, and Bold Street. Complete Entry Form, or make up a Cover Note with your name, postal address, e-mail address, telephone number (Optional), and the titles of your poems. You may enter as many poems as you want. The decision of the judge is final, and no communication will be entered into. For transparency, Eastern Light EPM International makes it clear that the primary aims of this competition are to raise money for the charity and to honour the winning writers. The prize money is expected to be generated by the entry fees. In the event that there are too few entries to pay the prize money from the entry fees after a third has been earmarked for donation to the charity, we reserve the right to either reapportion the prize money or refund all entry fees to the entrants by the methods they paid for their entries. Postal entries must be received by 30th June, 2011. Online entries must be received by midnight 30th June 2011. Poems will not be returned, please don't send your only copy. When you enter the competition we will invite you to join our mailing list so that you may receive updates on this and other competitions. Joining the mailing list is optional. We will never sell your details to anybody for research or marketing purposes. 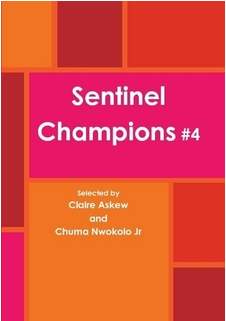 Winning and Highly Commended Poems and Short Stories from the Sentinel Literary Quarterly competitions are usually published in Sentinel Champions magazine which appears in paperback and in eBook formats. The magazines also feature interviews with our champions. Visit www.sentinelpoetry.org.uk/champions to review our catalogue and buy a copy of the magazine for yourself. Subscribing to Sentinel Champions is a brilliant way of supporting Sentinel Poetry Movement. The Ted Slade Award is given annually to a person who is in the opinion of the selection panel has given unstintingly of their time and efforts over many years to promote poetry to a wider audience. Nominations for the award are made by members of Poetry Kit, and the selection is made from suitable short listed nominations, by an appointed selection panel. Jim Bennett, who is a poet and Chair of Selectors, said, “Peter Finch has had a long and distinguished career, not only as a poet, but also as editor, critic and in recent years as Chief Executive of Academi, promoting literature. Peter has been an inspiration for many years and this award is given to acknowledge the tremendous contribution he has made to poetry. Ted Slade was the founding editor of The Poetry Kit, in every respect it was his vision and determination that saw the site grow to become one of the most visited poetry related internet sites in the world. This was done with the ethos of providing a service for readers and always putting their needs first when developing the site. For this reason Poetry Kit does not accept advertising or sponsorship and is run and funded by poets for poets. For all his work Ted received no official thanks and no payment, he did it because it was necessary and if he had not done it others with less integrity might have. Ted died suddenly in 2004, and we always felt that we wanted to find a way to honour his memory and so we introduced an award in his name which is given to a person who has given their time and energies over an extended period to ensuring the continuance and development of poetry,. This will include people who have kept poetry as a presence in an area or community. Those who have pursued a poetic vision through a magazine or regular reading events. Those who have developed other media to explore its poetic use or have published poets who could not have otherwise found an outlet for their work. All recipients of the Ted Slade Award are acknowledged for their endeavour and dedication in the promotion of poetry. Without such people many of today's well known poets would not have had the opportunity to find a platform, develop their skills or find an audience. Recipients have their name entered onto the award and this will soon be on permanent display in a library in Liverpool. Peter Finch is a poet, critic, author and literary entrepreneur living in Cardiff, Wales. He is Chief Executive of Academi, the Welsh National Literature Promotion Agency and Society of Writers. 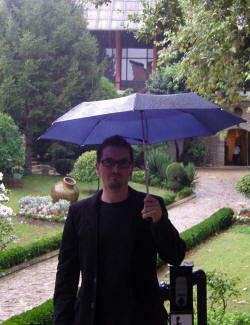 As a writer he works in both traditional and experimental forms. He is best known for his declamatory poetry readings, his creative work based on his native city of Cardiff, his series of books on Wales, and his knowledge of the UK poetry publishing scene. He is an Honorary Fellow of the Royal Society of Architects of Wales (RSAW), a Fellow of the English Association (FEA) and a Fellow of Yr Academi Gymreig / The Welsh Academy. In the sixties and seventies he edited the ground-breaking literary magazine, second aeon, exhibited visual poetry internationally and toured with sound poet Bob Cobbing. In the eighties and nineties he concerned himself with performance poetry, was a founder member of Cardiff's Cabaret 246 and of the trio Horse's Mouth. This was work with props, owing as much to theatre as it did to literature. In the new Millennium he was worked on psychogeographies and alternative guides to his native city of Cardiff. The city has become his obsession. Today he is much in demand as a reader as well as a lecturer at festivals and venues up and down the country. You can get into Finch's performances. There's little deliberate obscurity. His talks on Cardiff and how it is with urban living are always entertaining. In addition to the readings Finch also delivers a number of presentations on the poetry publishing scene (how to get yourself published - a demystification of the arcane world of books, magazines and the internet), on the history of sound poetry (which features histrionic performances of dada texts and the playing of numerous historical recordings), on the writing of short fiction and on the history of the small press. He works with schools and has led young people's writing squads in co-operation with local authorities. From the early seventies until the late nineties he was treasurer of ALP, the Association of Little Presses. Between 1975 and 1998 he ran the Arts Council of Wales's specialist Oriel Bookshop in Cardiff. In 1998 he took up his current post as Chief Executive of Yr Academi Gymreig/ The Welsh Academy - the Welsh National Literature Promotion Agency and Society for Writers. Peter Finch has published more than 25 books of poetry. His latest is Zen Cymru, published by Seren Books (April, 2010). His other titles include Food, Useful & Poems For Ghosts (Seren) and Antibodies (Stride). His The Welsh Poems appeared from Shearsman in 2006. His Selected Later Poems was published by Seren in November 2007. His prose works include a number of critical guides including How To Publish Your Poetry and How To Publish Yourself (Allison & Busby) as well his famous alternative handbooks, guides and literary rambles, Real Cardiff , Real Cardiff Two and Real Cardiff Three (Seren). With Grahame Davies he edited the anthology The Big Book of Cardiff (Seren). He is currently editing titles for Seren's Real Wales series and has published a book that takes in the whole country - Real Wales. Nerys Williams's essay on Finch's work appears as Recycling the Avant-Garde in a Welsh Wordscape in Slanderous Tongues - Essays On Welsh Poetry in English 1970-2005, edited by Daniel G Williams and published by Serten, 2010. Until recently Peter Finch compiled the poetry section of Macmillan's annual Writer's Handbook. He continues to write the self-publishing section for A&C Black's Writers' & Artists' Yearbook. 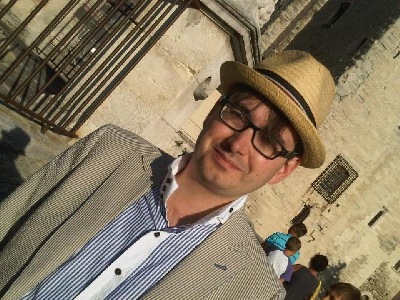 He is a book reviewer and writes articles on Cardiff, Wales and the business of poetry. His poetry and criticism is widely published in magazines and anthologies. THE POETRY KIT - http://www.poetrykit.org/ The Poetry Kit is one of the worlds most visited sites dedicated to poetry. 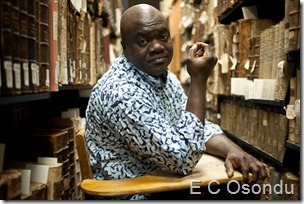 Provides links to resources for poets across the world.